The Johnian Entrepreneurs Club (JEC) aims to build a community that encourages and develops the entrepreneurial spirit of Johnian students. 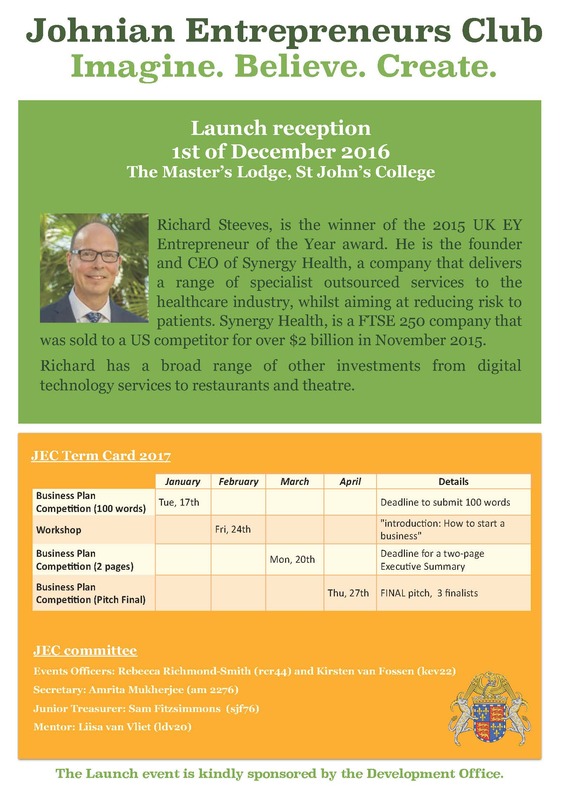 JEC will host talks, workshops and a business plan competition with mentoring from entrepreneurial alumni. 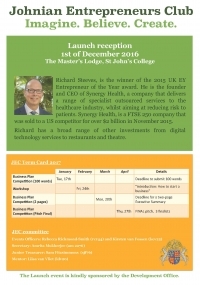 Sign up here http://tinyurl.com/Johnian-Entrepreneurs-Club to receive details about upcoming events. 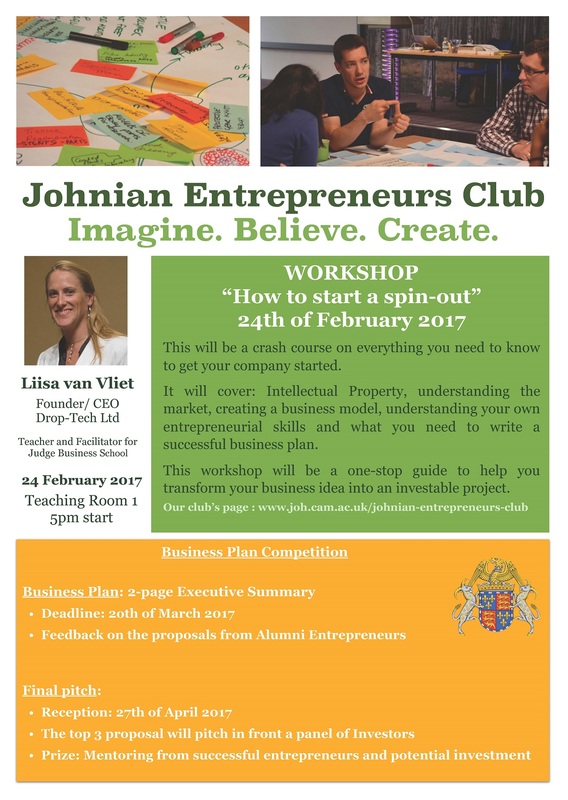 “How to start a spin-out” workshop. Register here. Elevator Pitches (~100 words) submitted.